Here’s a shot I snagged while we were on the “Tomorrowland Transit Authority PeopleMover” on Aug. 24, 2014. 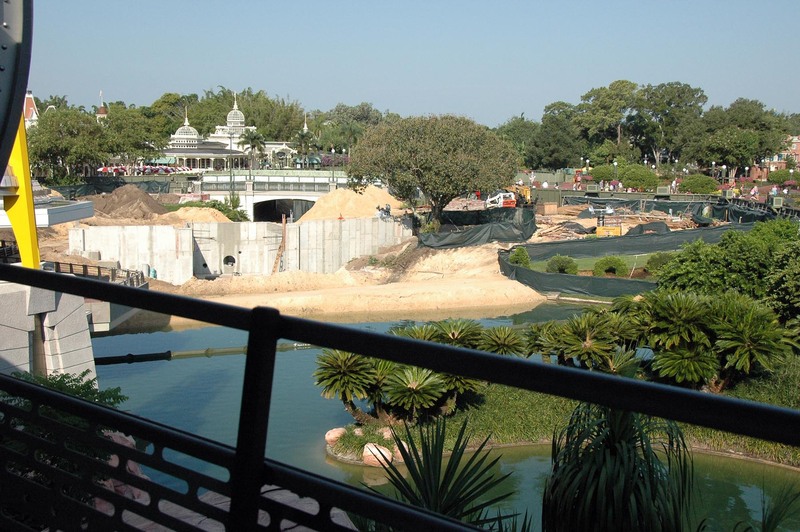 It shows work at the pond at the “Hub” in the Magic Kingdom (the Walt and Mickey statute is the center of the “Hub”). It is all part of an expansion project at Walt Disney World to expand the viewing area for the nightly fireworks.